Description: Designed specifically for smaller masonry fireplaces, the Vesta Design and Technology Award-winning Jøtul C 350 Winterport is our latest innovation in wood insert technology. 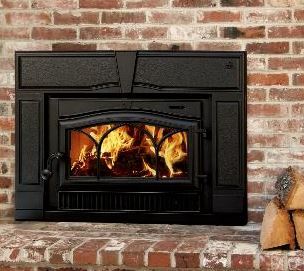 We use the Jøtul Simplex™ clean burn combustion technology to optimize fuel load and heating efficiency. Named after the coastal Maine town of Winterport and featuring one of the largest fire viewing areas of any comparably sized wood burning insert, the Jøtul C 350 Winterport is sure to bring some Maine charm into your home. To maximize efficiency, we have included two variable speed heat activated blower fans. Popular options include small and large surround panels and a choice of two colors.